I was reading Marketing Daily this morning and the first paragraph struck me, "The recommendations people make to their friends and family carry more weight than the messages companies put out on their own behalf." The article is about the importance of "word of mouth" which always brings me back to the importance of creating Brand Evangelists and paying attention to the touchpoints within your organization. Brand Evangelists are on board with the message and promise of the company and how that translates to the customer. Of course one of the tried and true examples is Zappos.com with a very simple mission statement "To provide the best customer service possible." There are 10 core values that all employees have to help them fulfill this mission. The employees are empowered to deliver "WOW" through service and their high brand standards are carried through the entire customer experience. Delivery is prompt, shipping is free and returns are easy. Take a look at the brand touchpoints in your company, there are many, and figure out if they are all living up to your brand promise. If you find problems, fix them as quickly as possible, what might seem like an insignificant detail might be the only contact a customer has with your company. With strong a strong brand, built from the inside out, and Brand Evangelists throughout your company, your customer is more likely to have an experience worth sharing. So next time someone asks their friend/sister/cousin "Hey, do you know where I can find a good dentist/mechanic/restaurant…" make sure your company name is worth raving about. We know times are tough for NPOs and part of our brand is a commitment to doing good work for people who do good works. 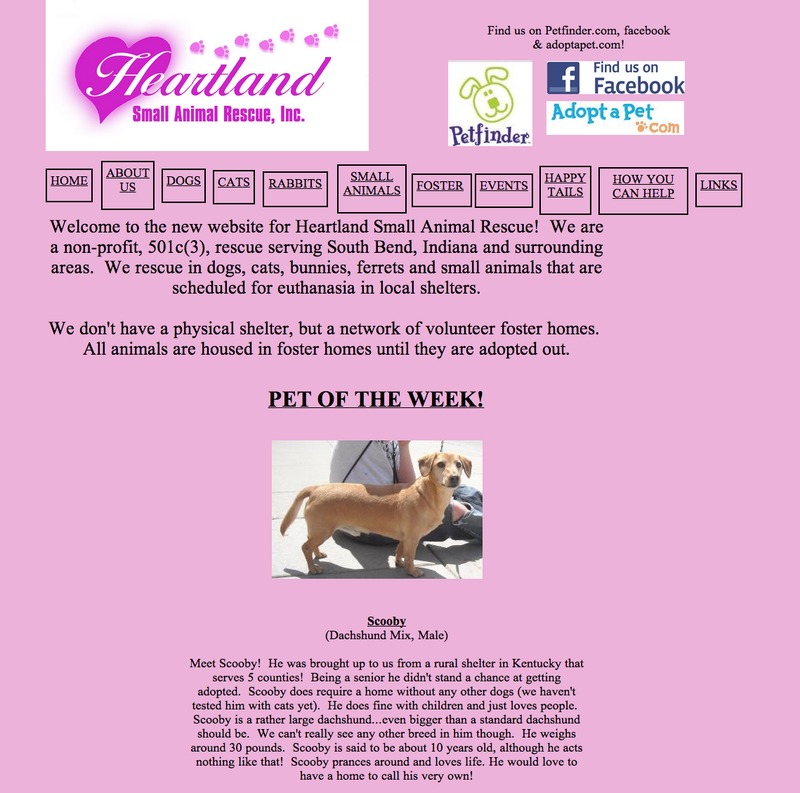 We would like to empower one local, non-profit organization and help them let the community know who they are, what they do, and why their work matters. 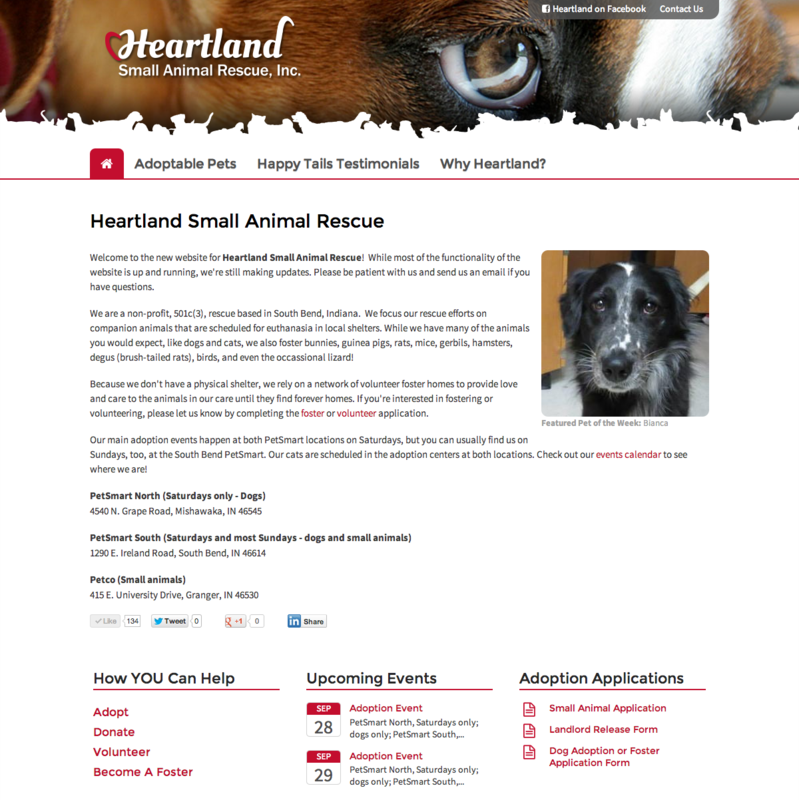 Heartland Small Animal Rescue was the winner last year and their new website should be going live any day. So, help us spread the word to our local NPO heroes! I was fortunate enough to spend my long Labor Day weekend in Camden Maine with one of my best friends from college. We did some sailing, shopping and of course we checked out the local restaurants! My friend and I are both foodies so we asked some locals for a recommendation of a great seafood or Italian restaurant. We were told about a place about 15 minutes outside of town, no website, no sign on the building, and only open for three hours, 365 days a year. The food was fabulous, we were told. So, I jumped on Yelp to see if I could find it and sure enough rave reviews of the food - the waitstaff and "decor" not so much. It was the type of place where you kind of had to know what the drill was to feel comfortable. You walk in, there is a big chalkboard with the menu items written in Italian - cool, unless you don't speak Italian. You are "greeted" at the door by a no nonsense gal who walks you through the menu. Then "go" - you pick what you want, grab a beer out of the cooler behind you and sit down. You are handed a white piece of paper with your selection, shown to a table with salad (one dressing option already on the table) and bread. So, nothing matches, the tables, chairs, plates, etc., the tables are covered in newspaper. The food indeed was fabulous! Everything was exactly as I expected, my friend and I loved the place. Thinking about the bad reviews I had read, the complaints were about rude waitstaff (they were all business, but nice), they only accept cash; no sign on the building; tough to find; the plates don't match, etc. Clearly these folks had no prior knowledge of the place, although I don't know how one would ever stumble upon it and think "gee, this looks like a great place for dinner." Really, it boils down to this, they met my expectation and delivered on their brand - "we serve amazing food" you just have to know going in that it isn't your typical dining experience. The second observation I had was the power of word of mouth. No website, no signage, no specials and they have been doing this for a very long time - that's says something! The place is Conte's in Rockland, Maine I would include a link, but there isn't one :-) If you can, go! The serving station. We had some added excitement during dinner, the candle was moved too close to the fishnet and it caught fire. The waitress calmly put it out with a wet towel, looked at the people sitting next to us and said "this happened last time you were here." I love this place. Tail and a half of lobster, about a pound of sea scallops with pasta - which was just something for the seafood to rest on as far as I was concerned.